First of all, look how young I was. Then, look how skinny I was. 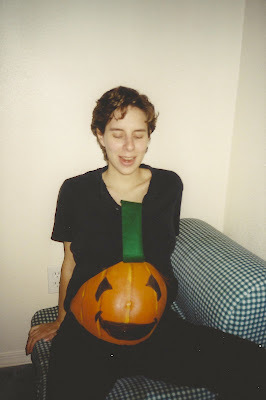 I was 9 months pregnant. This was taken on October 31st, 17 days before Xavier was born. My belly was so beautiful. It was perfect and round. I could still walk. A few days after this, Xavier dropped and went to a plus 2 station for two weeks. I couldn't walk very well. But this night, I could walk in the Halloween parade and go trick or treating. I was beautiful.